The Committee on Creative Writing has pulled science writer Dava Sobel into its orbit as the University’s sixth Robert Vare Writer-in-Residence. Most recently the author of The Planets (2005), and editor of Best American Science Writing 2004, Sobel will teach the course “Writing About Science” during the Winter Quarter. 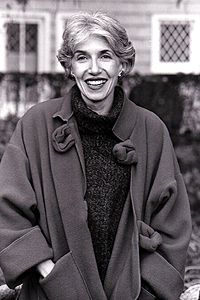 Sobel is the author of a pair of award-winning, critically acclaimed bestsellers, Longitude (Walker, 1995, Penguin 1996) and Galileo’s Daughter (Walker, 1999, Penguin 2000). She also brings to the University her experience as a former New York Times science reporter, magazine writer and co-author of six books, including Is Anyone Out There? with astronomer Frank Drake. Both Longitude and Galileo’s Daughter collected a variety of awards and have extended their popular reach by becoming something of a cottage industry for playwrights and television producers. Longitude’s honors include the Harold D. Vursell Memorial Award from the American Academy of Arts and Letters and the Book of the Year of the British Book Awards. 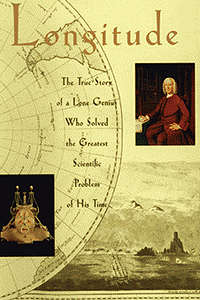 The book also inspired a PBS NOVA program, Lost At Sea—The Search for Longitude, as well as a dramatic version of the story, Longitude, which aired on A&E as a made-for-TV movie. 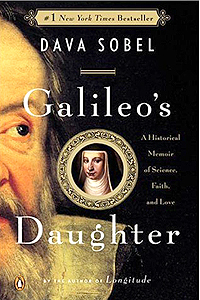 Galileo’s Daughter won the 1999 Los Angeles Times Book Prize for science and technology, a 2000 Christopher Award and was a finalist for the 2000 Pulitzer Prize in biography. The NOVA documentary, Galileo’s Battle for the Heavens, which was based on Sobel’s Galileo’s Daughter, won an Emmy Award in the category of historical programming. Stage adaptations of both books, meanwhile, have opened in England since 2004. The Chronicle recently spoke with Sobel as her publicity tour for The Planets was winding down. What works will your students be reading in your Writing About Science course? “I’m a judge this year for the L.A. Times Book Prizes for Science and Technology, so I’ve selected all of the nominees and we’re going to read some of those. I am naturally excluded because I am a judge. I may not have all the students read the same books. We could talk about why some of the books are better than others. 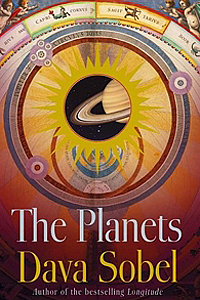 Your latest book refers to Holst’s symphony, The Planets, and to some of the poets who have written about Venus, and the class description mentions looking at plays that have scientific themes. Do you envision exploring the interplay the between science and popular culture in the course? “I do because I’ve always felt that keeping science separate from everything else is a back-of-the-bus treatment. If it’s important, and I think it is, then news about it should show up anywhere. That actually happened. When I was starting out at The New York Times there were, oh, I can’t remember now, but say six magazines about science. How much of the course will be devoted to science journalism? Gender bias has been a topic of discussion in the scientific community and in higher education this year. Have you encountered it yourself, either witnessing it as a journalist or in the way you were treated? Do you think that science writing is perhaps more difficult than other types of writing? At what point in your life did you decide to become a science writer? “I never reached that point. I’m 58, and so when I was in school, there wasn’t any designated track for science writing. I’d never even heard the term. Had I heard it I probably would have been going that way because I was always interested in science. I went to Bronx High School of Science, and I’m the only member of my immediate family who’s not a scientist. “I knew I didn’t have the right temperament to be a scientist, but I didn’t know what to do with my interest. I had a very difficult college career—I think five majors at three schools—and I went to work for IBM as a technical writer, which I hated. So I thought, well, I’ll just go back to school. “I went back to enroll in graduate school in anthropology and bumped into a classmate who was working for the local newspaper. She said there was another opening and maybe I’d like to come apply, and it just intrigued me. “I applied and hadn’t done any journalism in college, but I gave them my senior thesis and they hired me. They put me on the women’s pages, which meant there wasn’t a lot of concern about what I did. I really had complete freedom to choose my feature stories. And now it was spring of 1970, the year of the first Earth Day. I started to write about pollution and conservation and then genetic counseling, and I still didn’t know that it was called science writing. That happened the following year. “I moved to Ithaca and there was a person in the Cornell University News Bureau who was the science writer for the university and I met him. He was a great character, very encouraging, and I knew I wanted his job. Very soon afterward he left to take a position at the National Science Foundation. I applied for his job and got it.